Product Description: The rotating bowl has room for one to three small children and is rotated by the feet or by someone outside the piece. The motion introduces children to some basics of natural physics in a fun and co-operative environment. 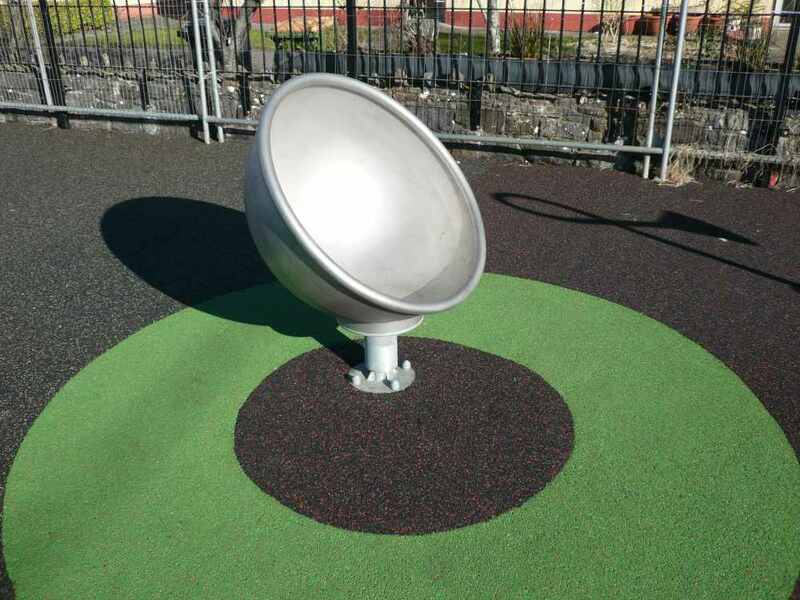 The support offered by the design of the bowl allows for all inclusive play.